﻿ Charleston Place - Ohio. Find It Here. To provide our customers with 'THE LOOK, THE QUALITY, AND THE PRICE' of great products, while insuring EACH and EVERY customer is pleased and confident with our professional services. 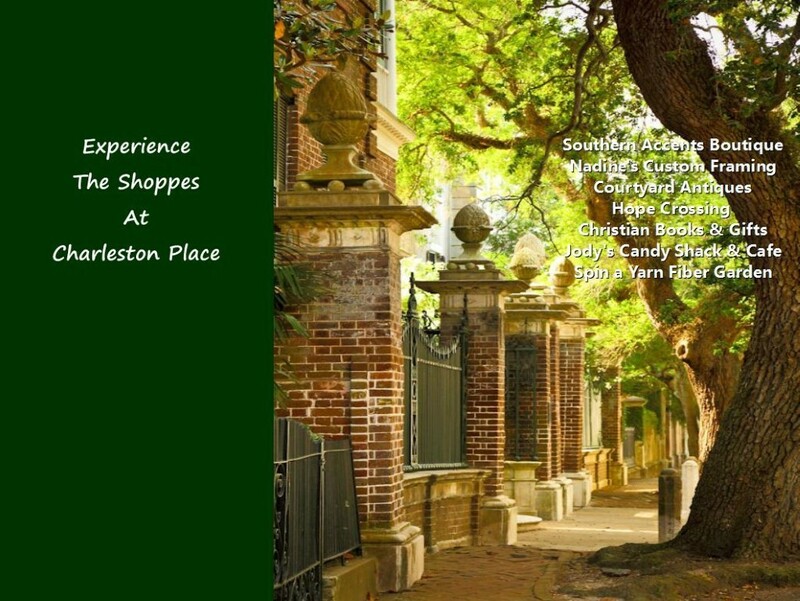 To welcome you in an atmosphere of gracious living, you come in as a customer and leave as a friend of Charleston Place.Charleston Place captures the ambiance of a quaint Charleston, South Carolina Boulevard. Always bustling with activity the building houses six retail establishments. The historic building was one of the original locations of J. C. Penney in the 50s and 60s. The 21,000 sq ft building was purchased and restored to elegance by local developers Brenda and Larry Gilliam. Like it's namesake, Charleston Place is known for it's seasonal events, local arts scene with monthly exhibits and warm hospitality.